Rosemarie Mielke is Professor for Educational Psychology at the University of Hamburg. She has published books on attitude and behavior and self related concepts like control, self-monitoring, self-efficacy and social identity. Her present research projects deal with strategies to cope with "negative" social identity, the influence of (minority/majority) group membership on self-evaluation and achievement behavior and the relationship between self-concept, values and the ethics of biogenetics. 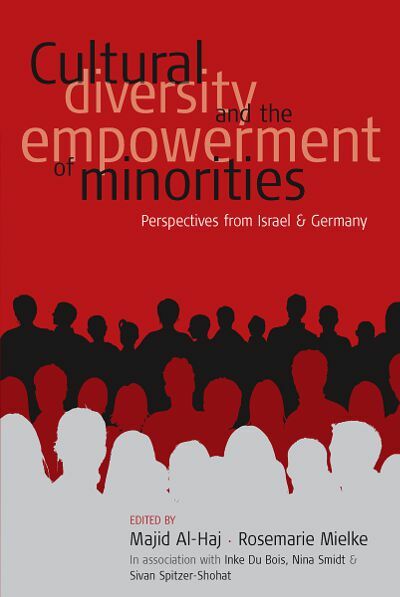 Majid Al-Haj is Head of the Center for Multiculturalism and Educational Research at the University of Haifa and lectures at the Department of Sociology at the University of Haifa. He has published extensively on the social and political structure of the Palestinians in Israel, Palestinian refugees, Russian immigrants in Israel, and freedom of expression. His books include Social Arab Local Government in Israel, co-authored with Henry Rosenfeld (Westview Press, 1990); Education, Empowerment and Control: The Case of the Arabs in Israel (SUNY Press, 1995), Sociology of War and Peace in Israel in a Changing Era (co-editor with Uri Ben Elezer- Haifa University Press , 2003) and Immigration and Ethnic Formation in a Deeply Divided Society: The Case of the 1990s Immigrants from the Former Soviet Union in Israel ( Brill, 2004). Chapter 5. The Evolving Arab Reception of the Holocaust and Palestinian Textbooks: A Contribution to Democracy and Peace Education? Chapter 14. Intercultural Competence in Management Consultancies in Germany: Does It Exist?